Talent Recruitment Event- Detroit – Warren, MI Area. UPDATE: This event will be rescheduled. Please check back later for more details. Join us Wednesday August 17,2016. At The Warren, Michigan Cinemark 16 Theatres. Location 28600 Dequindre Road, Warren Michigan 48092. Doors open @ 6:30pm, for 7:00pm Start. Talent recruitment event- Detroit – Warren MI area. Buy your Ticket Here! See our flyer for more details! Hope to see you there! 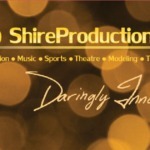 Shire Productions: Cinema, Television, Music, Sports, Theatre, Modeling, The Arts and More……Daringly, Innovative! 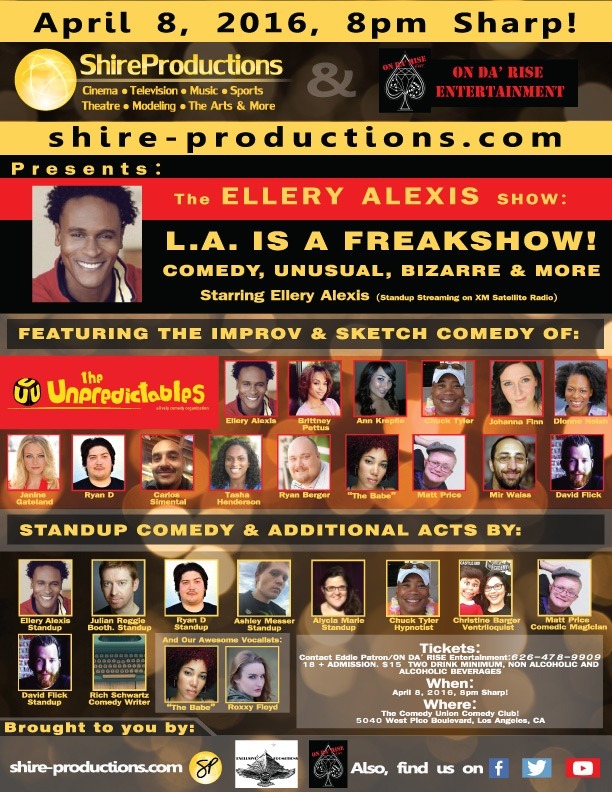 The Ellery Alexis Show, Starring Ellery Alexis(Standup Streaming on XM Satellite Radio.) The Insanity Improv of The Unpredictables. Seeking Promotor and Producer for shows primarily @ The Ice House, and other Hollywood area venues. And finding Cinematic Opportunities. 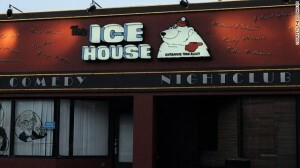 Also booking guest Improv, Sketch and Standup Comedians, Singers, Musicians and Magicians for Future Ice House Shows! With next Ice House Show July 22, 2015! Feel free to spead the word and share this info wherever you want! Starring Ellery Alexis(Standup Streaming on XM Satellite Radio!) 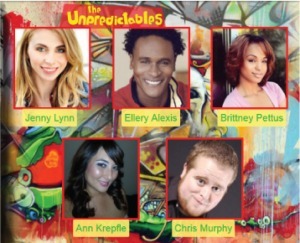 Featuring the insanity of the Improv troop, The Unpredictables. More acts will be joining as we get closer to this fun event! For now, here are the details! When: Wednesday, July 22, 2015, 7:30pm Sharp! Where: The Ice House, Stage 2! 24 North Mentor Avenue, Pasadena California. More Details: Doors Open 7:00pm. Admission $15, plus 2 Drinks Minimum (either alcoholic or non alcoholic depending on age). Ages: 18 and up welcome. Look forward to seeing you all there! We’ll post exciting updates as they come in! Feel free to spread the word. Share this with others whereever you'd like! 2015 is going to be a great year! Know how I know? Because Shire Productions is now ONLINE!!! Stay tuned for the latest information and “Goings on” !